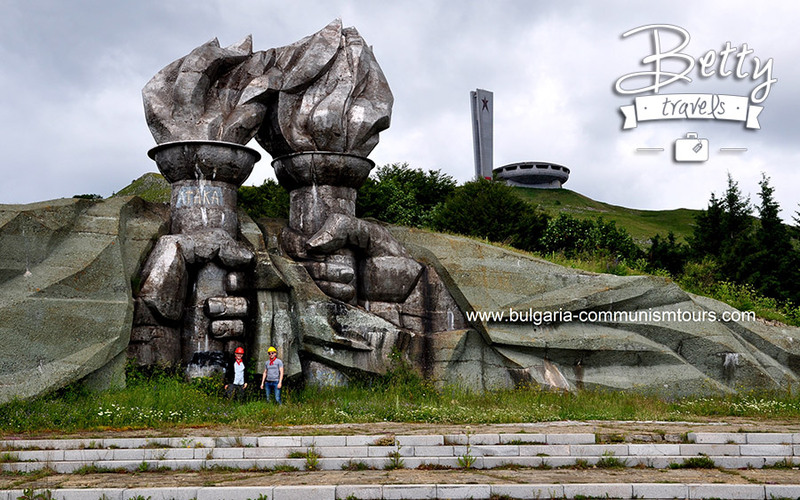 Buzludzha monument is a must see place in Bulgaria. 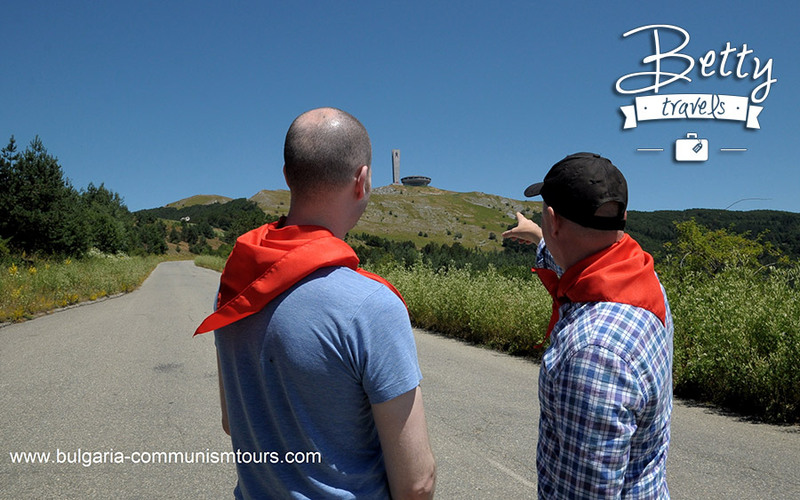 Book a day tour with Communism Tours in Bulgaria and see the abandoned UFO building. 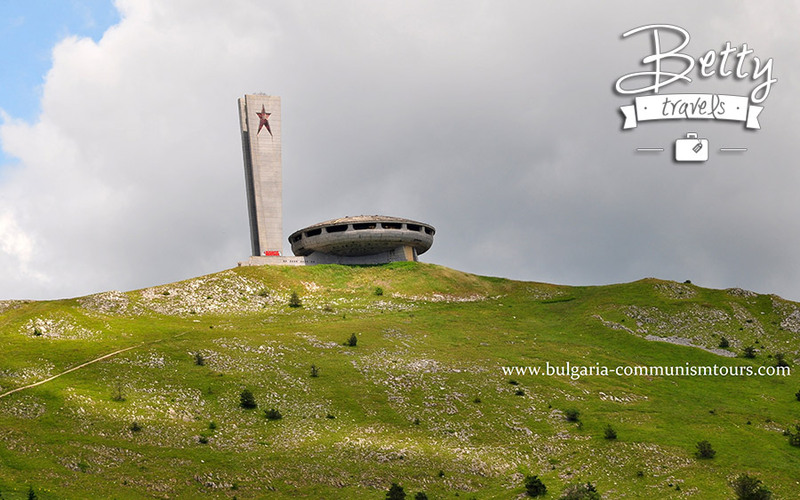 It is located at the historical peak of Buzludzha in the central part of the Balkan Mountains, Bulgaria. 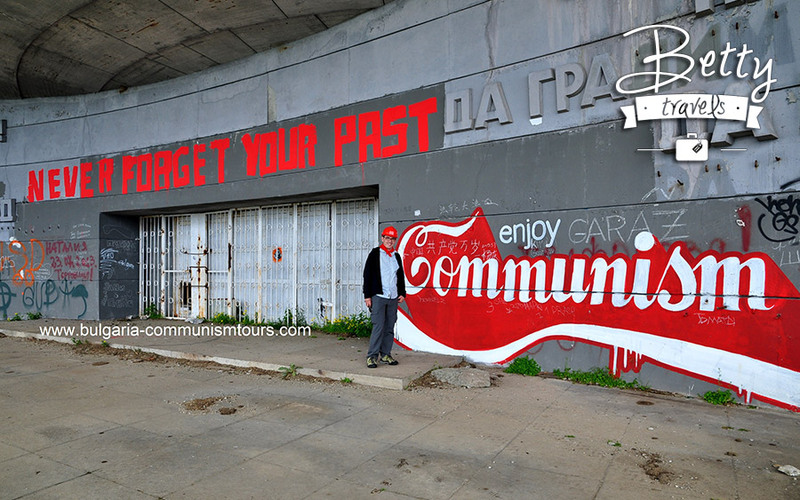 During the communism it was the office of the former Communist party. 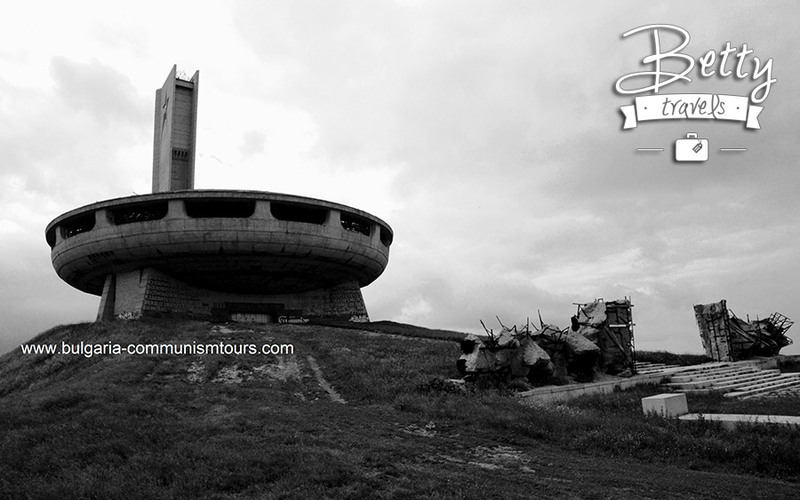 The Buzludzha monument was built by the people and then ruined by the people. They built the monument on top of the mountain in order to see it from far distance – from the Danube river to the Aegean sea. 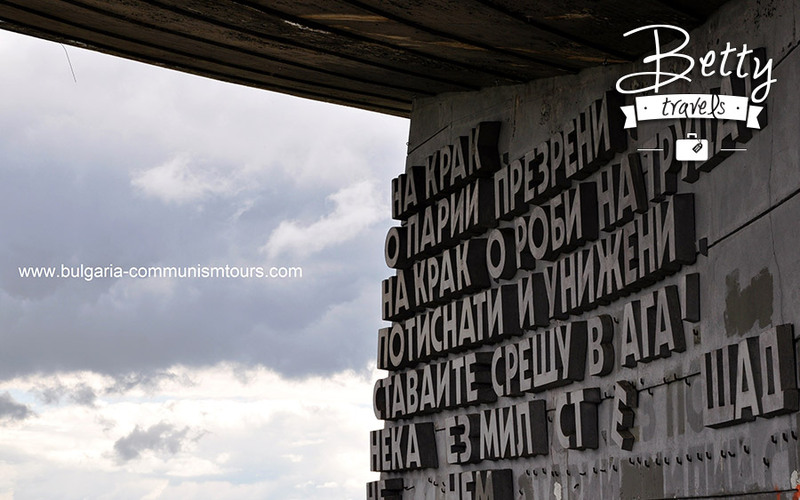 In 1971 the Secretariat of the Bulgarian Communist party took a decision to build the biggest monument of the party for the 90 year anniversary of the formation of the socialist movement. The construction started with an explosion in order to lay the foundations. The peak went down with 9 meters. The building is in the shape of a wreath and next to it there is the additional part in the form of a flag. On top of the flag is the biggest star in the world: a 12 meter star. The nation had to take part not only with labor, but also financially. So the party printed stamps and everyone had to spend 1, 2, 5 or 10 BGN. Thus, in the end the party collected BGN 14 million from the Bulgarian people. 6 000 builders and workers both from Bulgaria and Ukraine took part in the construction. It took them 7 years to finish the monument, today famous as the UFO. 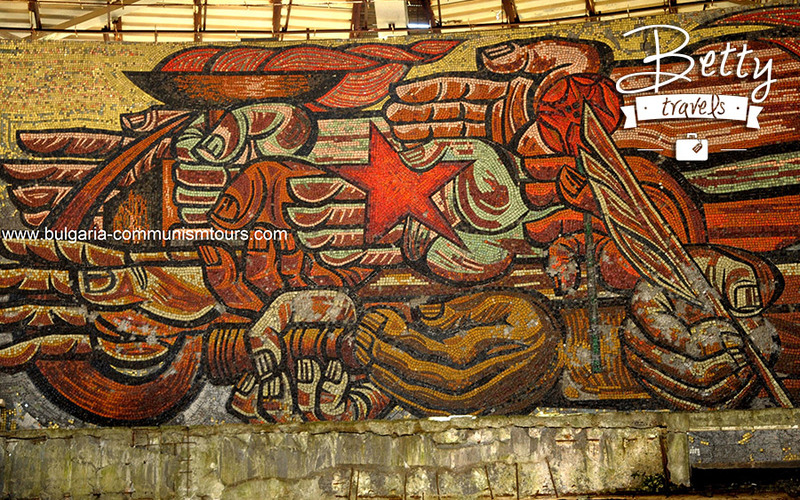 The Buzludzha monument was the work of his life for the main architect Georgi Stoilov. He also designed two emblematic buildings in Sofia: the building of the Bulgarian National radio and the Rila hotel. The high officials of the former Communist party used to stay there. Today on the walls you can see graffiti and writings in any kind of language. There are also Asian letters, saying “long live Chinese communist party”. 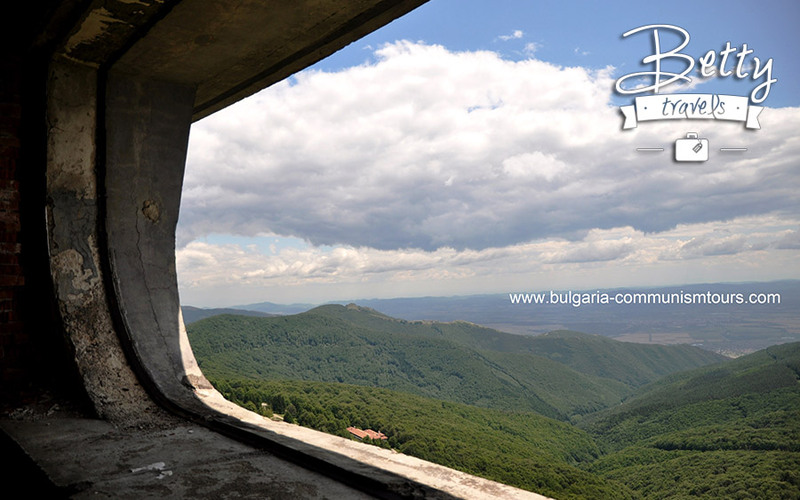 The Buzludzha monument was officially opened on 23 August 1981 but had a short life, not as planned. In 1995 the building was abandoned. 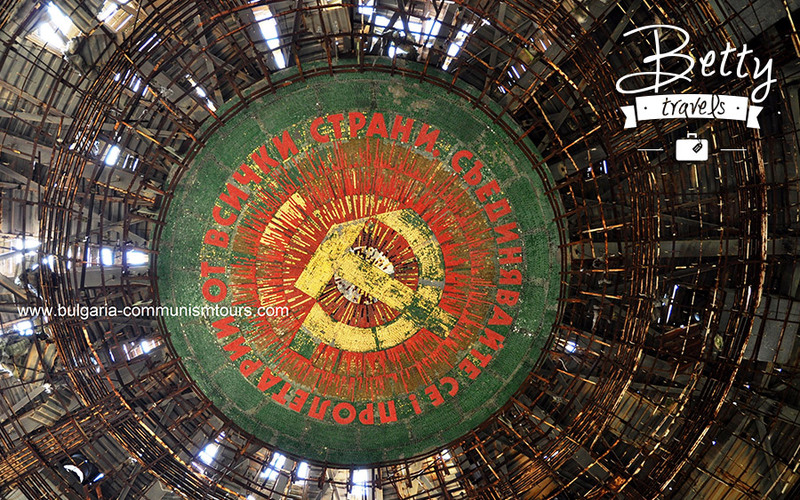 The slogan under the dome goes: Proletarians from all nations, unite yourselves! During the construction builders were up on a scaffold and they were lying down to stick it. The communist symbols: hammer and sickle, are here too. 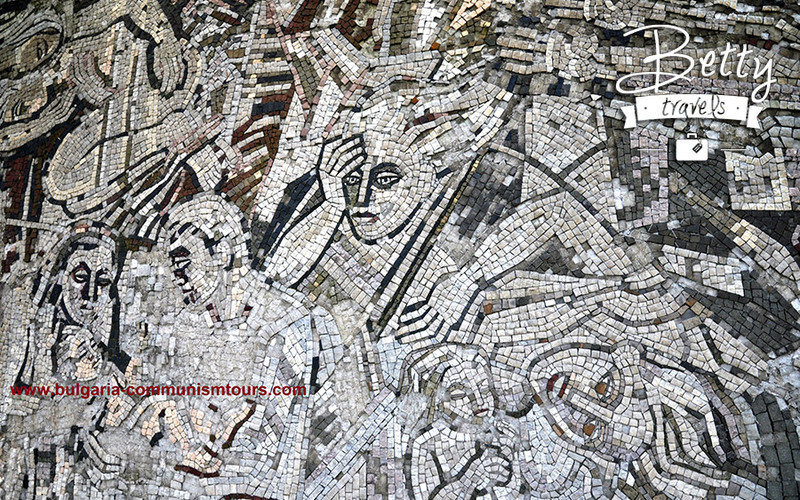 The mosaics were 550 sq.m. and some of them are still present. The main hall, known as the solemn hall, looked like an ancient theater. 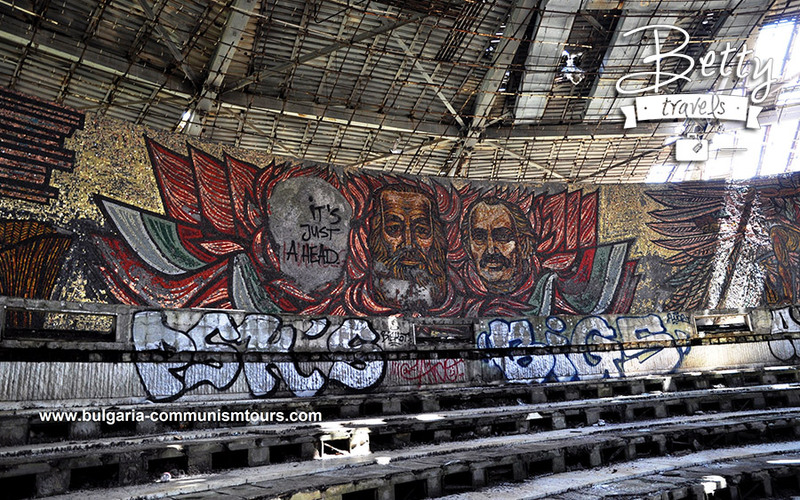 It has a diameter of 60 m. The missing face on the wall was of Todor Zhivkov, the Bulgarian communist leader. Next to it in the middle is Dimitar Blagoev and to the right you see Georgi Dimitrov. The decoration consists of a hand-laid mosaics. First they drew the painting on the wall and then they covered it with stones. The main hall is surrounded by a console, which is the biggest in Bulgaria and is supported only at three points. Today the windows are missing and the building looks like a ghost. 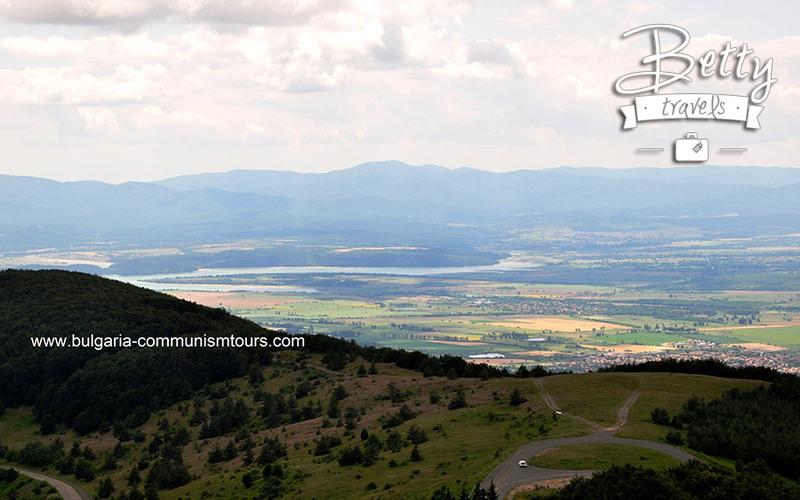 Also from the Buzludzha monument you can enjoy a lovely panorama view to Kazanlak and the Rose valley. Currently, the monument ranks among the most famous abandoned buildings in the world. 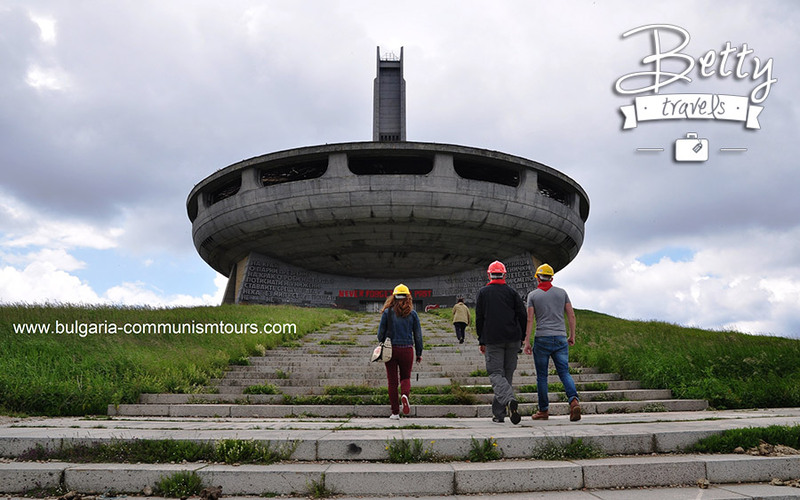 Tour to Buzludzha monument you can book here: www.bulgaria-communismtours.com . Just up the road from our house, an amazing place to visit, a pity it has fallen into disrepair. It is really a highlight.